There are no set rules about what makes a community garden work. Each one is unique and just like other areas in life, there are some that gel and some that don’t. 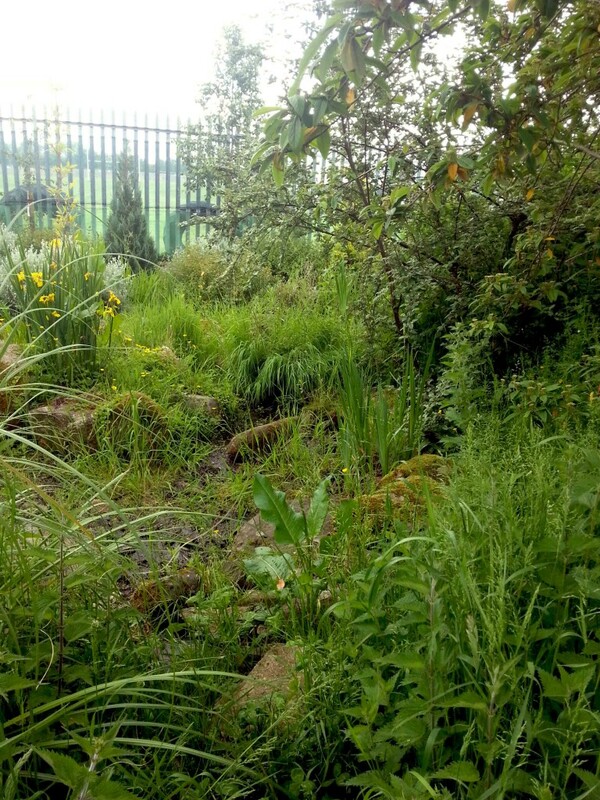 However, some gardens we come across seem to encompass all the good things we’d expect and hope for in a shared space and the latest one I’ve found that’s ticking all the community boxes is in Baltinglass, Co Wicklow. Recently I met Mary Carmody, the enthusiastic nun who was instrumental in establishing this rural garden in 2005 and who generously spent a couple of hours out of her busy schedule showing me around, sharing the Tearmann Community Garden story. At the far end of the site below the overlooking hill, is a biodiversity area that bar some native tree planting, is undeveloped and has been allowed to grow as nature intended. Every year a biodiversity census takes place there, taking stock of the species that inhabit it. From there, a meandering pathway lined with young trees leads visitors to a quiet, contemplative area – the perfect place to sit alone or in a meditative group and enjoy the tranquility the garden offers. 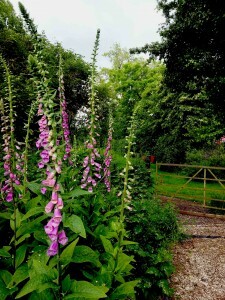 On either side of the walk , depending upon which way you wander around, is a very shallow wild, boggy area that attracts the newts and frogs and on the other side, a newly developed and very tidy fruit area, netted and wired, saving the fruit from the birds and allowing for easier picking. Finally, at the garden entrance, is a fox proof hen enclosure, a cabin with a kitchenette and seating area, three small greenhouses and all the raised beds that the community share. 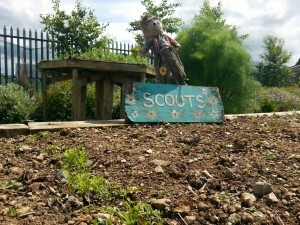 Although there is a communal garden where people come together and share the work and the produce, all other beds in the garden have been freely allocated to different groups following consultation with the ten member committee, and each one is clearly labelled to avoid disputes. As a result many people from the community, including two primary schools, the secondary school transition year, two pre-schools, the local scout group, Men’s Sheds, the KAIRE centre for adults with intellectual and physical disabilities, the local Foroige group, the active retired as well as a few individual, are all sharing and working in the garden on a regular basis. 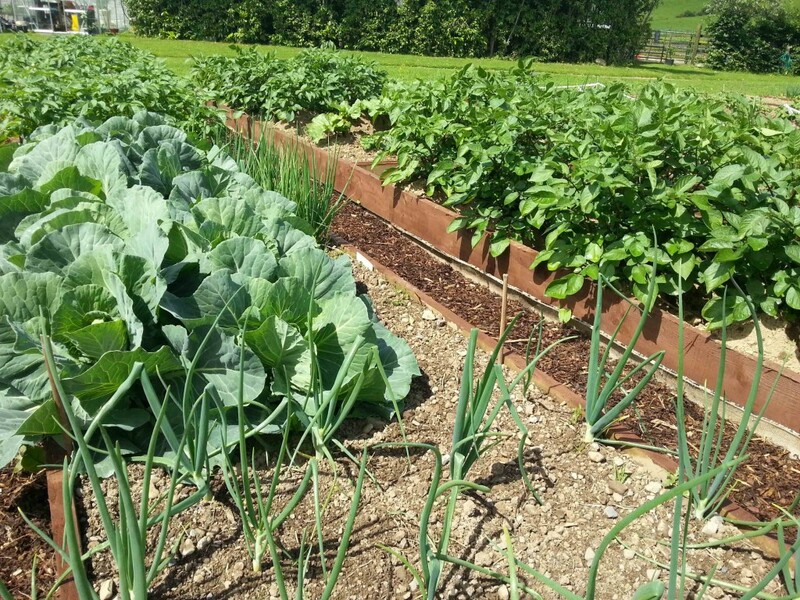 Some areas are more productive than others but the emphasis is on giving everyone in the community the opportunity to grow food and not on getting hung up about whether it’s being done text-book correctly. As well as gardening activities and courses similar to the ones I offer in Carlow and Kilkenny, various other informal training initiatives have taken place in the garden, including cloth dying, herbal remedies and foraging. Whilst the gardeners share much of the produce, on days throughout the year vegetables are sold at the local country market. 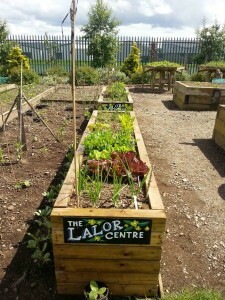 From June onwards they have plant sales and last year the transition year students set up a vegetable box scheme as part of their mini enterprise project. 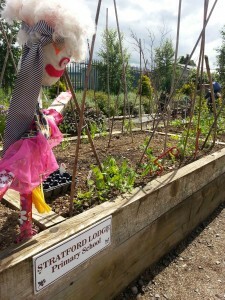 The fourth year students also made several of the unusual scarecrows that are dotted around the garden. 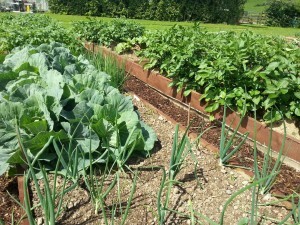 One of the enjoyable aspects of being involved with the community garden network is learning and finding ideas from other gardens in Ireland and Northern Ireland. 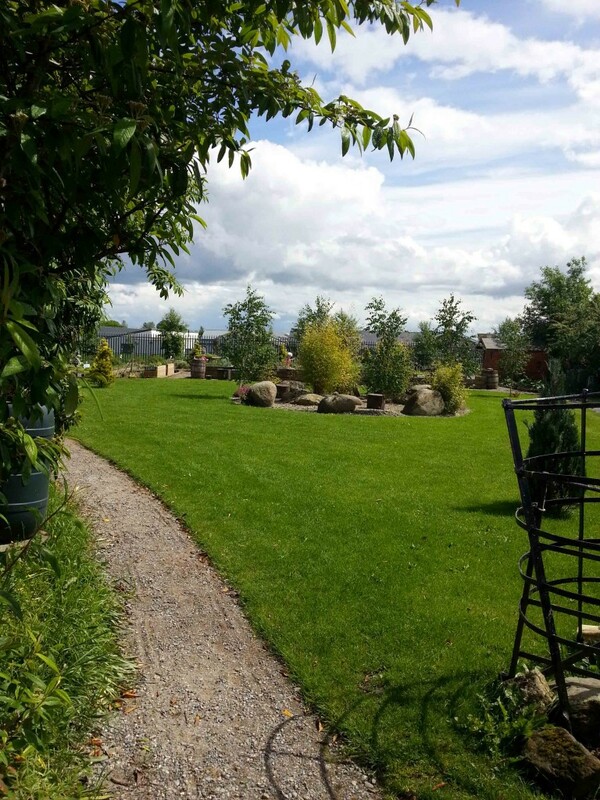 I found this particular garden in Baltinglass quite inspirational in the way if opens its gates wide and welcomes groups of all size and ages. What do you think? 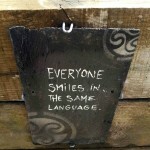 Is this something you could see working in your own community? Do you or have you already tried operating something similar and did it work for you? I have garden envy just looking at those photos 😉 What a fantastic idea and facility for the community… I love the idea of a social area too! It’s just lovely Naomi and my pics didn’t really do it justice. I liked that the contemplative area was as important to the overall design of the garden as the vegetable beds, something I might not have considered before. Wow, what a wonderful initiative, sounds like they have their priorities in the right order, involve and make it open to lots of groups and allow people a bit of freedom to explore gardening in their own way. I think people learn better by experience than by following instructions to the letter. I bet a LOT of behind the scenes work goes on keeping everyone happy. Reading this really gives me hope for our society!